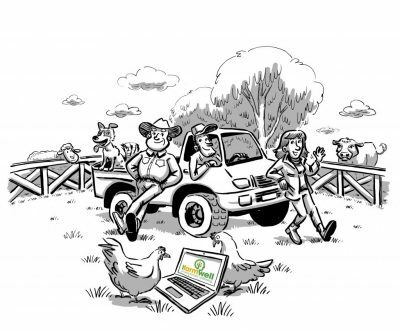 PRIMARY producers are invited to access a program on the ifarmwell.com.au website which has been developed to help them navigate through difficult circumstances, thoughts and feelings related to matters like the weather which are beyond their control, and to work out where to best invest their attention and energy. The program is presented as five modules of less than one hour each which can be completed online over a period of months, and is open to all people who play an active role in Australian cropping or livestock enterprises, as well as dairying, horticulture, poultry production and cotton and cane farming. University, health and farmer organisation inputs have been involved in developing the ifarmwell program, which aims to give farmers and those they work with the skills to master the art of spending less time going over and over things in their heads, and focus more on the here and now as a more pleasant and less exhausting place to be. By the end of the modules, the program aims for participants to be less focused on thoughts and things they cannot control, and more focused on their family, friends, farm or other aspects of their lives they value highly. The website is currently being evaluated, and those accessing the program need to agree to conditions set out on the website, and answer some questions. Eligibility is currently restricted to those who are 18 years of age or older, and fluent in English, with access to the internet and their own mobile phone.